Adrian Francis, 6’1”, 185 signs with an exclusive academic D-3 university, California Lutheran University. In 2010, California Lutheran University was ranked 18th among Regional Universities in the West by U.S. News & World Report, moving up to 14th in 2013. Forbes ranked CLU 276 out of 650 “Top Colleges” in the US. Cal Lu is part of the Southern California Intercollegiate Athletic Conference and competes against the universities listed. The Southern California Intercollegiate Athletic Conference (SCIAC) is a college athletic conference that operates in the NCAA‘s Division III. The conference was founded in 1915 and it consists of twelve small private schools which are located in Southern California and organized into nine athletic programs. Claremont-Mudd-Scripps and Pomona-Pitzer are combined teams for sports purposes. Adrian was an exceptional academic student at Antelope Valley College, and was named to the Dean’s list on multiple occasions. An interesting side note. Adrian has a brother who played D-1 basketball at Alcon State University and recently graduated. An agent put together a contract for a “brother act” and Adrian and older brother were offered a pro contract in Germany. “Not until you have a college degree said the family.” That family is serious about education. 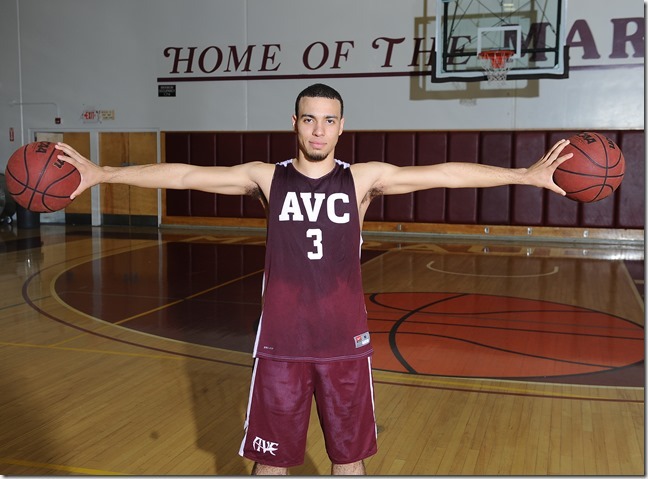 C0ngratulations to Adrian and the Antelope Valley College basketball program. Adrian graduated from California Lutheran University this spring and currently is working to sign a professional contract. He worked out in Europe in front of pro teams earlier this summer.